In Tech : Here I am going to tell you about some mostly used methods to hack and extract the Whatsapp messages from your smartphone and how can you prevent yourself from them. Whatsapp is an excellent social app, but there is a problem with this fantastic app, that is, it does not provide security to its users. As everything (All The Data OF Whatsapp) is stored on our local storage I mean on phone’s default storage or SD Card. Someone who has access to you smartphone can easily access and see all the messages of your Whatsapp. Further to this, there are also certain methods and techniques which can be used to control your Whatsapp remotely quickly. And all of your Whatsapp messages can be seen, and messages can be sent from our account to our all friends. 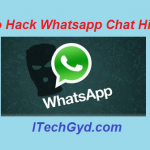 To prevent from this security lack of Whatsapp, you need to know some methods which can be used by the hackers to hack and extract your Whatsapp. In the digital time, there are many methods available on the internet which can be used to hack the Whatsapp accounts quickly. It can be spied, with some spying apps, messages can be transferred to from one phone to the others, and many more methods are available. Here in this article, I will describe you all the methods which can be used to hack and extract your all Whatsapp data. To prevent these methods it is very necessary that you know how these methods can be done with you, So give a simple look at all of the following ways and prevent your Whatsapp account from being hacked. Learn to Use Whatsapp Without Number. All the methods described below are just for the sake of education, please do not use any of the following methods to do any illegal trick with your friends, any action may be taken on you if you do something illegal. 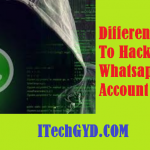 Important NoteAll of the methods to hack Whatsapp can only be completed if the hacker can access your smartphone otherwise it cannot be hacked easily. Most of us are aware of the MAC address if you are not then let me clearly tell you that every device that can use the internet has an MAC address which is primarily used to connect with the web. When we install the Whatsapp app on our smartphones, then first thing done by Whatsapp app is to scan our MAC Address and find out is the same users is not using Whatsapp on any other device. 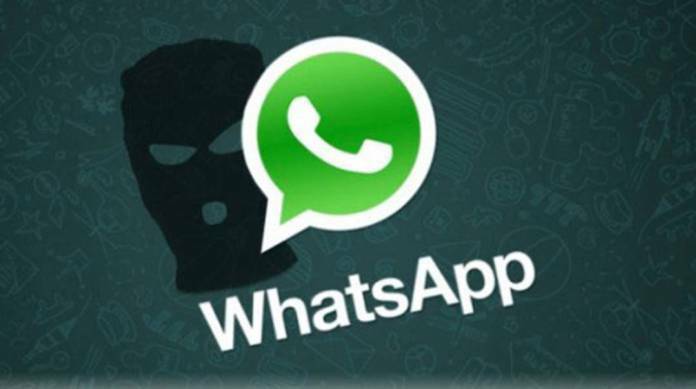 In this method the hacker will change his smart phone’s MAC Address to the victim’s and will install the Whatsapp on his smartphone, for verification of Whatsapp the hacker will input your phone number and will try to get verification code from your phone, once the hacker can get the check code and has verified the Whatsapp on his phone using your number then he can see all the messages of your Whatsapp, even he can also send the messages to your contacts quickly. If someone wants to hack your Whatsapp then he needs the MAC Address of your device which can be found easily, but the verification code cannot be found quickly, so I recommend using the app locker on your Android device and locking your messages so that no one can read your messages. Recommended: Run two whatsapp accounts on android trick. This is excellent and easy method, by which your all Whatsapp data can be stolen easily. This app can create a backup of you all Whatsapp information in an extractable form, and that form can be transferred to other devices either using the Wi-Fi or the Bluetooth. The most simple and easy trick to get rid of this kind of attack is not to give your smartphone to unknown persons, or to those friends who want to see your messages. A spy app is a very simple app which is mainly used for looking to someone’s phones without his knowledge. There are many kinds of spy apps available on the Google Play that can be used to spy on Android devices, But if you want to use some spy apps then, you can use the best those apps which are mainly used to spy on Whatsapp because they will work better than any other app. Well, this is the very simple method to see the Whatsapp messages and everything easily if someone has physical access to your smartphone then he can find the backup files of you Whatsapp and can easily transfer these files to his/her device and you messages can be seen by others. This method can only be completed by the friends because they may have physical access to your phones, so just use app locker app on your smartphone and lock your File Manager and Whatsapp app with a password. So, this was all about how can someone hack or extract your Whatsapp data from your android phone easily using some straightforward and easy techniques. IF you have read the article thoroughly than you can surely protect your Whatsapp account from being hacked.